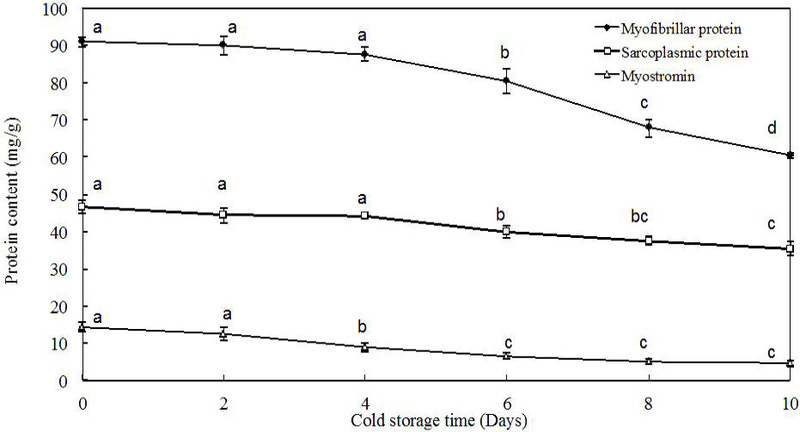 Changes of relative content of three types of muscle proteins from Grass carp during cold storage (4°C). All values are means ± SD; different letters indicate significant differences between storage times within the same group at P < 0.05. 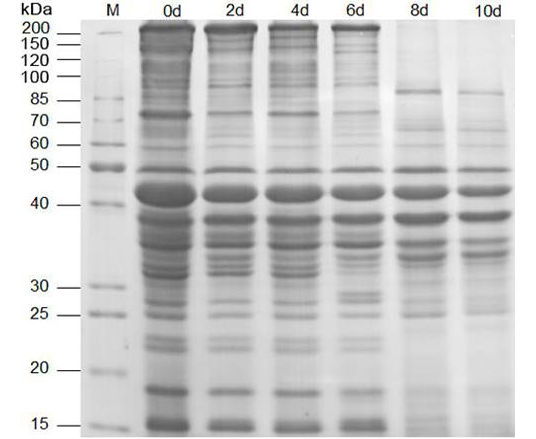 SDS-PAGE patterns of muscle protein samples during cold storage (4°C). Numbers designate storage days. M means high molecular weight standard. 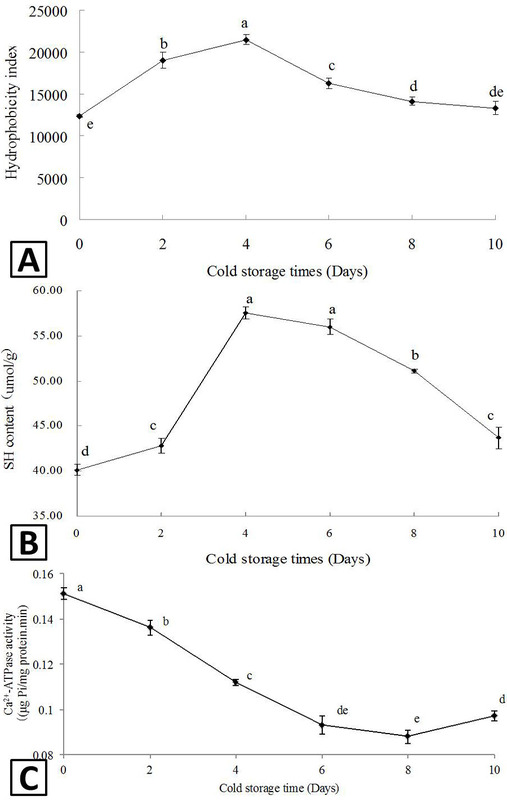 Changes in surface hydrophobicity (A), total SH content (B) and Ca2+-ATPase activities (C) of grass carp muscle proteins during cold storage (4 °C). 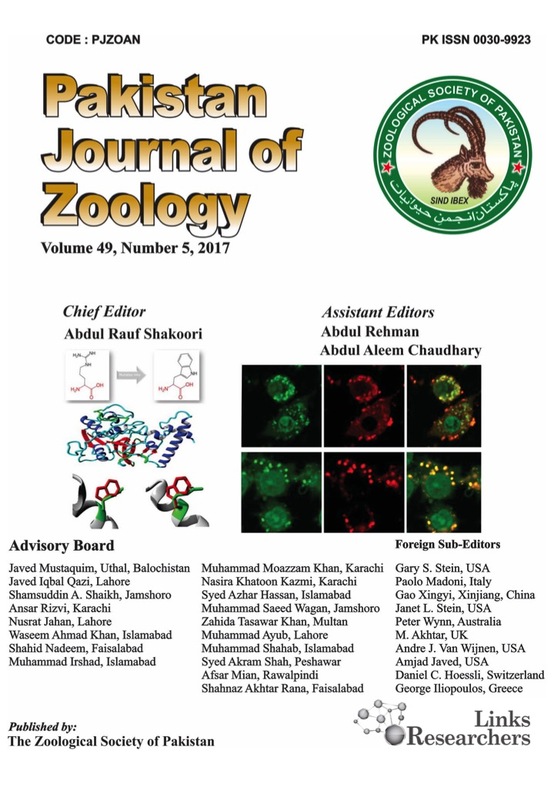 Different letters indicate significant differences among the samples obtained at different storage times (P<0.05).